Language is powerful. Language shapes the way in which we view the world, other people, and ourselves. Recently, Ann Coulter tweeted regarding the presidential debate and used the word “retard” with reference to President Obama. There are, of course, the problems of the sophomoric level of political discourse that this demonstrates and the total disrespect of the office and person of President Obama. The larger issue is the ongoing dehumanization of persons with cognitive disabilities. Many people with cognitive disabilities are not able to advocate for themselves. There are of course exceptions, such as John Franklin Stephens, who wrote an open letter to Coulter appealing to her to stop using this demeaning term. To his credit, he was much more charitable than I would have been. The issue here is not political correctness. It is about rejecting dehumanization. When we reduce people to one word or one characteristic, we do not acknowledge their full humanity. This is particularly the case when we reduce people to a single demeaning term. People with cognitive disabilities such as Down Syndrome are fully human, deserving of the same rights and respect as every other human. It is only in recent decades that we have really begun to acknowledge this in our society, as we have moved away from the widespread practice of institutionalizing such people and regarding them as unable to learn or to contribute to society. We still have a long way to go, and comments such as Coulter’s represent a big step in the wrong direction. If we could learn to see people as God sees them, how much better off would we all be? I'm the father of a child with Down Syndrome. I honestly do my best to remain cognizant of the fact that most people are not like my son, Sean, and most people aren't used to interacting with someone with Down Syndrome. But when an inappropriate action is not accidental, but fully intentional, and carries dehumanizing consequences, it is incumbent upon Christians to call this out. 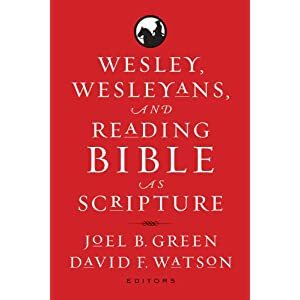 I just received an advance copy of a book that Joel Green and I edited called Wesley, Wesleyans, and Reading Bible as Scripture. It is scheduled for release later this month. The idea for this book came out of a meeting of the Wesleyan Theological Society a few years ago, the theme of which was "The Future of Scripture" (thank you, Rob Wall). Within this book, the writers look not only at the ways in which Wesley understood the nature and function of the Bible, but also the ways in which scripture functions in various Wesleyan communities today, and the constructive appropriation of scripture for Wesleyan theology and practice. I am most grateful to Joel and to all of the contributors, and I hope this volume makes a helpful contribution to our Wesleyan communities of faith. Just a reminder.... Don't forget about our upcoming conference called, "Jesus, Criteria, and the Demise of Authenticity," to be held on October 4 and 5 at South Park United Methodist Church, near the University of Dayton. This is going to be a very fine event and a great opportunity to explore some of the core issues of historical Jesus scholarship. To learn more about the conference, click here. The conference is based on a book by the same title, edited by Chris Keith and Anthony LeDonne. The conference will be held at South Park United Methodist Church, near the University of Dayton. This one seems to have gotten in under the radar in the furor of GC: UMC health care coverage for people with mental illness extends only for two years, after which benefits cease. Rationale? It is very likely financial. Never mind that we spent almost 9 million dollars at a GC where we seem to have accomplished almost nothing (besides cutting health care benefits to people with mental illness). This must have gone through on the consent calendar, but it's still pretty stunning. William J. Abraham is the Albert C. Outler Chair in Wesleyan Studies at Perkins School of Theology in Dallas, TX. He is the author of Wesley for Armchair Theologians and Canon and Criterion in Christian Theology: From the Fathers to Feminism. Ron Anderson is Ernest and Bernice Styberg Professor of Worship at Garrett Evangelical Theological Seminary in Evanston, IL. He is the author of Taught by God: Teaching and Spiritual Formation and Worship and Christian Identity: Practicing Ourselves. Daniel Castelo is Associate Professor of Theology at Seattle Pacific University in Seattle, WA. He is the author of The Apathetic God: Exploring the Contemporary Relevance of Divine Impassibility. Paul W. Chilcote is Professor of Historical Theology and Wesleyan Studies at Ashland Theological Seminary in Ashland, OH. He is the author of Recapturing the Wesleys’ Vision. John Drury is Assistant Professor of Systematic Theology and Christian Ministry at Wesley Seminary at Indiana Wesleyan University in Marion, IN. Richard Eslinger is Professor of Homiletics and Worship at United Theological Seminary in Dayton, OH. He is the author of Web of Preaching: New Options in Homiletic Method and A New Hearing: Living Options in Homiletics. Elaine Heath is McCreless Associate Professor of Evangelism at Perkins School of Theology in Dallas, TX. She is the author of We Were the Least of These: Reading the Bible with the Survivors of Sexual Abuse and Longing for Spring: A New Vision for Wesleyan Community. Sarah H. Lancaster is Professor in the Werner Chair of Theology at Methodist Theological School of Ohio in Columbus, OH. She is the author of The Pursuit of Happiness: Blessing and Fulfillment in Christian Faith and Women and the Authority of Scripture: A Narrative Approach. Matthew Levering is Professor of Religious Studies at The University of Dayton and the author or editor of numerous books, including The Betrayal of Charity and The Oxford Handbook of the Trinity. Rebekah Miles is Associate Professor of Ethics and Practical Theology at Perkins School of Theology in Dallas, TX. She is the author of numerous articles and books, including The Pastor as Moral Guide and Wesley and the Quadrilateral: Renewing the Conversation. Andrew Sung Park is Professor of Theology and Ethics at United Theological Seminary in Dayton, OH. 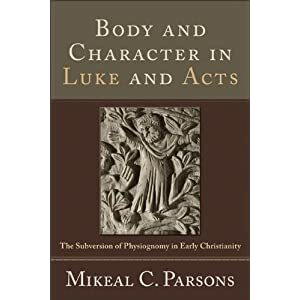 He is the author of Triune Atonement: Christ’s Healing for Sinners, Victims and the Whole Creation and From Hurt to Healing: A Theology of the Wounded. Brent Peterson is Associate Professor of Theology at Northwest Nazarene University in Nampa, ID. He is the promotional secretary of the Wesleyan Theological Society and the author of Created to Worship: God’s Invitation to Become Fully Human. Don E. Saliers is William R. Cannon Distinguished Professor of Theology and Worship, Emeritus, at Candler School of Theology in Atlanta Georgia. He is the author of Worship as Theology and Worship and Spirituality. Jason E. Vickers is Associate Professor of Theology and Wesleyan Studies at United Theological Seminary in Dayton, OH. He is the author of Minding the Good Ground: A Theology for Church Renewal and Wesley: A Guide for the Perplexed. Geoffrey Wainwright is Robert Earl Cushman Professor of Christian Theology at Duke Divinity School in Durham, NC. He is the author of dozens of books and articles, including Doxology: A Systematic Theology and Lesslie Newbigin: A Theological Life. Robin Knowles Wallace is Professor in the Taylor Endowed Chair of Worship and Music at Methodist Theological School of Ohio in Columbus, OH. She is the author of The Christian Year: A Guide for Worship and Preaching and Worshipping in the Small Membership Church. Karen B. Westerfield Tucker is Professor of Worship at Boston University School of Theology in Boston, MA. She is the author of American Methodist Worship and editor of The Sunday Service of the Methodists. Edward P. Wimberly is Vice President of Academic Affairs and Provost of the Interdenominal Theological Center in Atlanta, GA. He is the author of African American Pastoral Care: The Politics of Oppression and Empowerment and Moving from Shame to Self-Worth: Preaching and Pastoral Care. Joyce Ann Zimmerman is a Sister of the Precious Blood, Dayton, OH, the founding Director of the Institute for Liturgical Ministry, and the author of The Ministry of Liturgical Environment. To learn more about this event or to register, click here. This is a very important step forward in raising awareness about issues related to people with disabilities. A few years ago I received a message from Bishop Peggy Johnson regarding seminary offerings related to ministry with people with disabilities. While I had done research in this area, United, like many other schools, was lacking with regard to educational offerings in this area. This fall I will teach a course called Disability, the Bible, and the Church, using Amos Yong's book with a very similar title as the primary textbook. Bishop Johnson has kindly agreed to produce a video for the course and to have discussion with us via Skype. This course is being folded into a brand new United Methodist certification in Ministry with People with Disabilities. I am very pleased that my seminary is working to provide education regarding this much-neglected area in the life of the church. "Plan UMC," a plan to restructure the UMC, has passed on the floor of GC. You can learn more about the plan here. This could end up going to Judicial Council, though. The UMC General Conference has voted to approve full communion with the historically black Methodist denominations. This is an important and historic event. Hopefully it will lead to more substantive cooperation between denominations. At least it's a step in the right direction. The "guaranteed" appointment of UMC elders was passed as a calendar item approved overwhelmingly in legislative committee. In the plenary session there was a motion to reconsider, but the motion failed. So... no more secured appointments for elders. This is a huge change in our polity with far reaching consequences.... It's just not clear what all of those consequences are yet. Britain's Advertising Standards Authority has banned a Christian group from advertising faith healing. You can read an article about this here. The Authority claims that this type of advertising is misleading and could generate false hope in people. (I guess that never happens in advertising otherwise.) This, folks, is interesting. Often people have indicated that Christianity in the United States could go the way of Western Europe. It gives us something to think about as we contemplate how we are to move forward in faith. Please take some time to read Bishop Whitaker's blog post on our thinking through church decline theologically, rather than simply sociologically. This is an insightful post and I think he's hit the nail on the head.